Nice little hotel with pretty good breakfast and 2 pools. The staff was helpfull and kind. Close to Playa Flamingo. Everything was immaculately clean and the garden was nicely manicured. Really enjoyed the layout of the pool, breakfast was very good and rooms more than clean. Staff was very friendly and the place is only a 15 minute walk to some of the most beautiful beaches in the world. Also pretty close to some small towns which had very good restaurants and one even had some great IPA beer! We really enjoyed our time there. The staff were very helpful. Especially Alvie and Gretel who went out of their way to help us. I think having a car is very helpful as there are so many beautiful beaches to explore. Beautiful room, comfy bed and quiet AC. Very updated fixtures, very clean and secure! 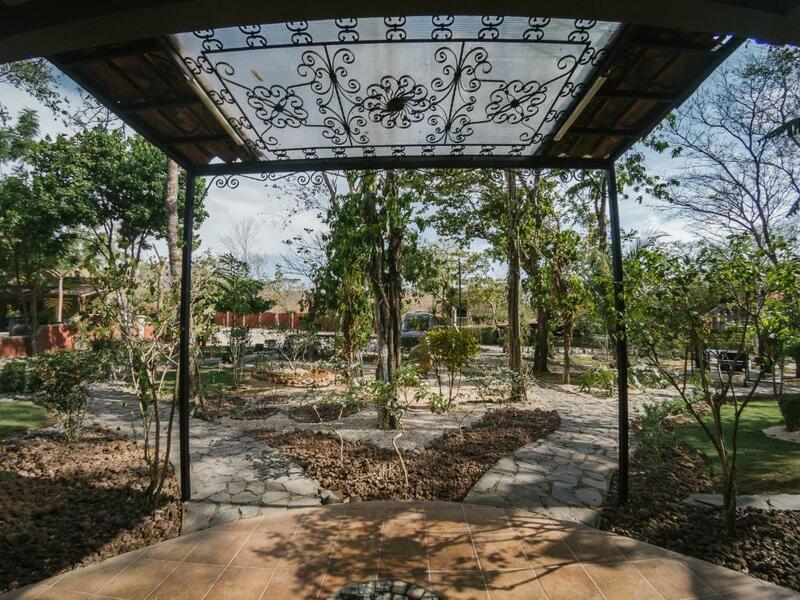 Great place to relax and unwind, lovely typical costa rican breakfast every morning, 2 pools and beautiful gardens with different sitting areas which are great to read a book or have a nice chat with friends. Totally recommended! We enjoyed relaxing by the pool and the surrounding garden when we weren’t exploring the local beaches. The grounds create a cozy retreat. We felt safe going out to find restaurants, etc., but there’s not much to see in town. We appreciated the friendly staff, very responsive and helpful. The kitchenette, outdoor grills, and access to washer/dryer were nice options. At first we were not happy that the WiFi is limited to the office area (the signal doesn’t even reach the opposite side of the pool, which is located next to the office) and the dining room, but it made us more thoughtful about screen time. BTW, there is a second pool that’s larger and deeper than the main one, although it’s not as convenient to rooms and less landscaped. Maybe built when the hotel was new, then the additions were re-oriented so it became secondary. But the upside is that there’s no music playing out there. 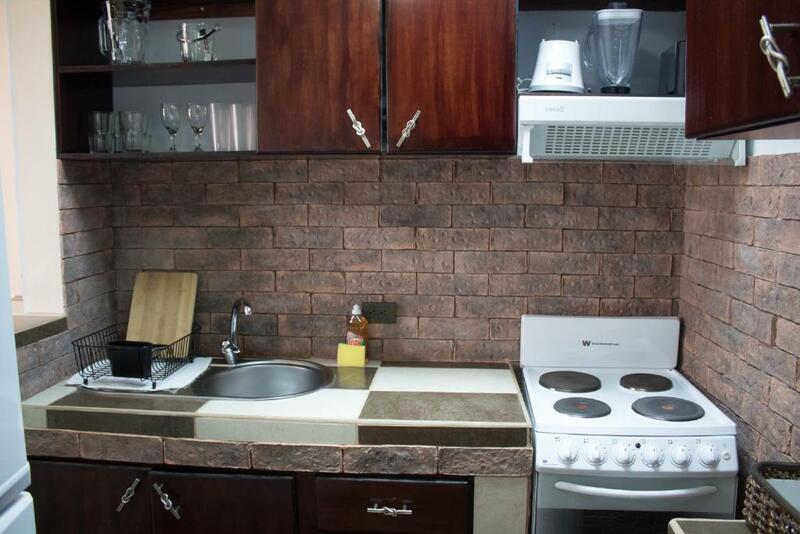 Que las habitaciones estén equipadas con utensilios de cocina. The staff was very accommodating with an air conditioning issue and promptly moved me into an upgraded room. This is a great location because it is close to Flamingo and Potrero on one side and Brasilito and Huacas on the other side. Also, it is gated and there is roaming security at night, so I felt very safe. Garanta um preço incrível para Casas del Toro Playa Flamingo - avaliado como nota 9,4 pelos hóspedes recentes. Uma das nossas principais opções em Playa Flamingo.O Casas del Toro Playa Flamingo está localizado a 1 km da praia Flamingo e a 4 km da praia Conchal. A propriedade dispõe de um amplo jardim com parquinho infantil, piscina e Wi-Fi gratuito em todas as áreas. Os quartos e apartamentos apresentam decoração moderna, ar-condicionado, ventilador de teto, guarda-roupa, TV a cabo e vista para o jardim ou para a piscina. Os banheiros são privativos e incluem amenidades de banho gratuitas. O café da manhã está incluído. Você pode encontrar uma variedade de restaurantes que oferecem frutos do mar e pratos locais a 200 metros do Casas del Toro Playa Flamingo. Atividades como mergulho com cilindro, arvorismo e mergulho com snorkel podem ser organizadas. Aulas de espanhol e passeios para a Ilha Catalina também estão disponíveis. Esta propriedade fica a 1 km do Centro de Idioma Panamericana e a 25 minutos da Praia de Tamarindo. O Aeroporto Internacional Daniel Oduber fica a 50 minutos de carro. Esta acomodação é avaliada pelo melhor custo-benefício em Playa Flamingo! O dinheiro dos hóspedes vale mais, quando comparado com outras acomodações nesta cidade. Casas del Toro Playa Flamingo tem recebido hóspedes da Booking.com desde 14 de jun. de 2013. Quando você quer se hospedar no(a) Casas del Toro Playa Flamingo? 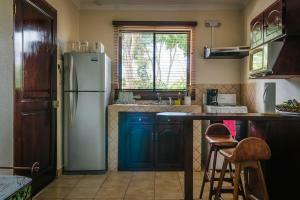 This room offers air conditioning, ceiling fan, wardrobe, cable TV and views of the garden or the pool. The bathroom is private and comes with free toiletries. The breakfast is included. 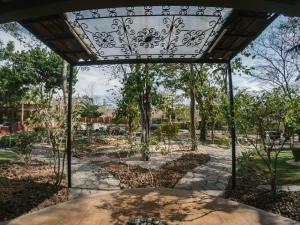 This apartment offers air conditioning, ceiling fan, wardrobe, cable TV and views of the garden or the pool. The bathroom is private and comes with free toiletries. The breakfast is included and the kitchen is fully equipped. This villa has a tile/marble floor, private pool and air conditioning. With many other lodging options in the Conchal and Flamingo area, you may wonder what makes Casas del Toro the best choice? First off, an affordable option centrally located with access to the best beaches along the Golden Coast, Casas del Toro Flamingo has consistently demonstrated a genuine commitment to offering a high level of service to each and every guest. We are located between the two most visited beaches in Costa Rica: Playa Conchal and Playa Flamingo. There are many tourist activities, such as: snorkeling, deep sea fishing, scuba diving and ATV tours are just a few of the many options. 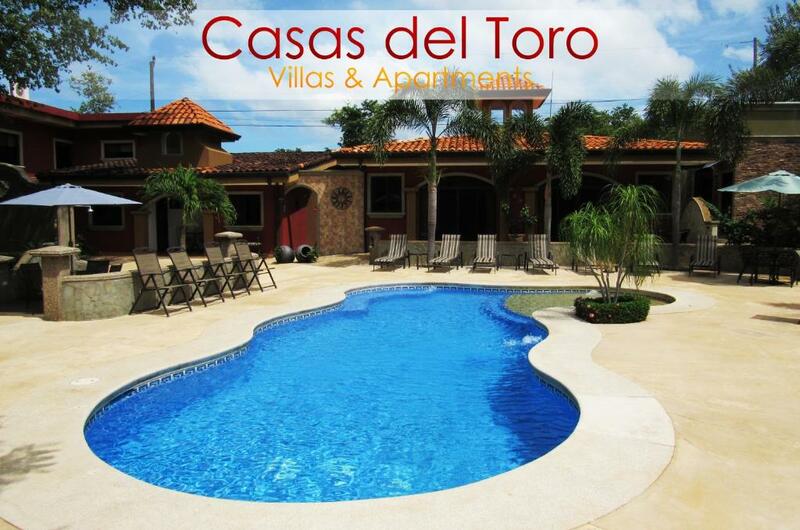 Our central location makes Casas del Toro Flamingo the perfect home base for your visit to the Guanacaste area. Bom saber Casas del Toro Playa Flamingo aceita pedidos especiais - adicione no próximo passo! Casas del Toro Playa Flamingo aceita estes cartões e se reserva o direito de fazer um bloqueio temporário em seu cartão antes da chegada.